Best quality printed paper cups coated inside for use with either hot or cold beverages. Environmental and fire safety issues make these new versions of an old Idea worth looking into. Paper cups are not recommended for alcoholic beverages. Order as little as 100. Larger volume discounts. Made from renewable resource. MADE IN AMERICA. PRINTED IN AMERICA. For FULL COLOR standard paper cups, click here. For Standard Paper Cups in one color – click here. Our products are tested by Bureau Veritas to ensure they conform to applicable CPSIA and Prop 65 standards. All of our products are compliant. Our products are produced under the same strict standards applied to food manufacturing. We follow protocols for traceability, site security, sanitation, and HACCP just to name a few of our programs. Our products are free of BPA and PCB’s. To comply with regulations and to further protect customers, our cups and containers are labeled with unique traceable product identifiers and meet all applicable labeling requirements. Currently, our products do not warrant labeling to comply with California Proposition 65. "customer comments" box in the shopping cart. We can print more than one color, email us for quote. THESE ARE ONLY SOLD WITH CUP ORDERS. NOT ALONE. 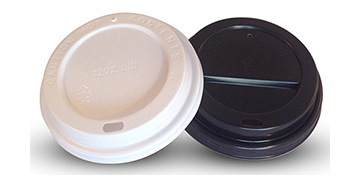 We will match the size of the lids to the cups you order. Sales Tax Added to all Florida and California orders.